Ships in 16-22 weeks. Free Shipping! Do you have a Siesta Chair that needs to be refreshed? Give your Siesta Classic High Back Chair a new life with these authentic replacement cushions. These Siesta Chair Replacement Cushions are made in Norway by the maker of the authentic Seista Chair, which was originally designed by Ingmar Relling in 1965. Available in fabric and leather coverings, these tufted cushions will restore the look and comfort of your Siesta Chair. The underside of the cushions has a black mesh fabric covering, which allows the air to escape from the cushion when you sit down. A zipper allows easy access into the cushion. The cushion interior consists of foam and a soft fiber wrap. The materials are encased in a white mesh fabric. We also have the Siesta Low Back Chair Replacement Cushions. For easy reference, the low back chairs are about 32″ high while the high back chairs are about 40″ high. Replacing the cushions on your Seista Chair is very easy. Your chair either has simple clips or ties that hold your cushions in place. Your new cushions will include clips that simply insert into the holes in the canvas to secure the cushions. No special tools required. If you find that the cord and/or canvas of your chair is in bad shape, it can be replaced as well (with a little more work). 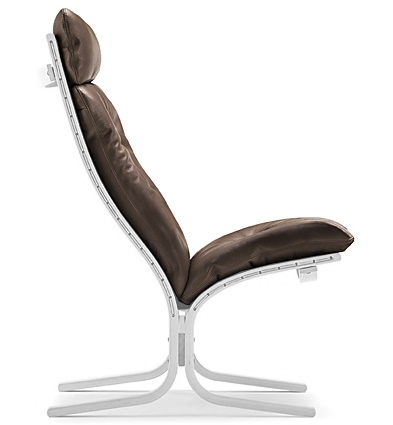 The cords and canvas provide support for the seat and back cushions. This item is for replacement back and seat cushions only. You will also receive replacement clips necessary for attaching the cushions to your chair. This item includes the actual cushion insert and the covering fabric/leather of your choice. Replacement arms and a replacement ottoman cushion are available as well (select those options to add them to your order). We will send the armrests and/or ottoman cushion in the same color as your selected chair cushions. You can also order a set of Siesta Chair Replacement Arms or a Siesta Ottoman Replacement Cushion independently. The Siesta Chair Replacement Cushions are available in Danish wool woven fabric and high quality top grain and full grain leathers. Read more about covering options below. Hallingdal Fabric is a woven wool upholstery fabric is made of 70% new wool and 30% viscose. Depending on the color you choose, the fabric has either one or two yarn colors. 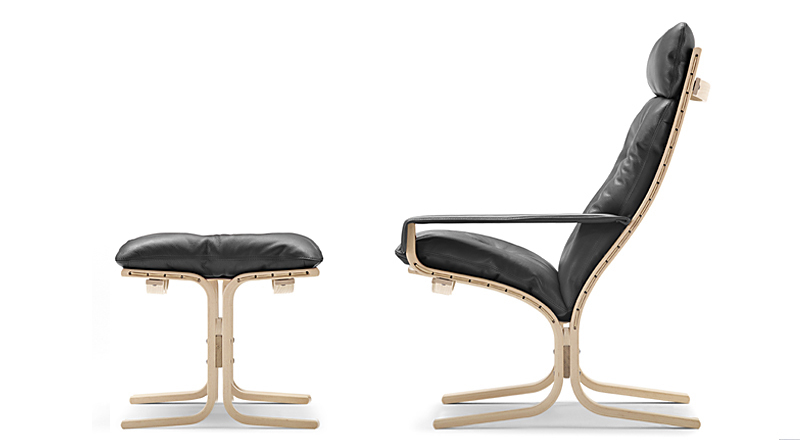 Hallingdal creates a classic Scandinavian look and was designed by the well-known Nanna Ditzel. The Martindale test rating is 126,000 double rubs, which means that the fabric rates as extremely durable. The Martindale test assesses how many rubs is takes before the fabric begins to show signs of wear. Unsure which size chair you have? 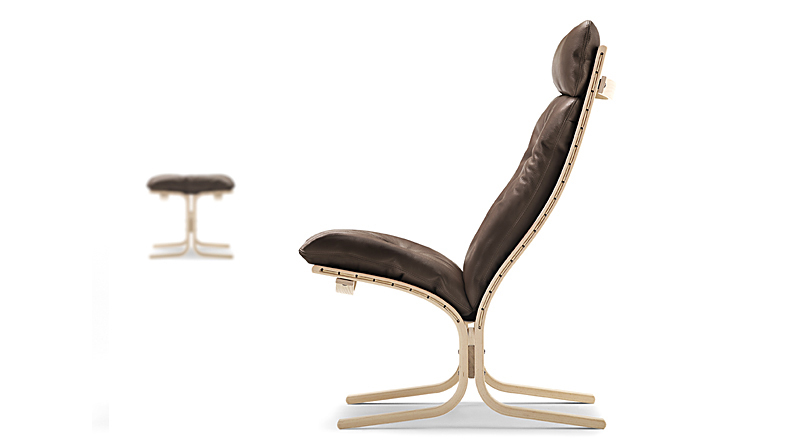 Lowback chairs are about 32″H while highback chairs are about 40″H. Additional upholstery options available. Please give us a call at (608)233.4488 ex.1 for more information. We are happy to help!